Nevada Railroads And Railfanning In "The Silver State"
Nevada may be quite rural and isolated in most locations but they does offer several jewels, not to mention that it serves a key link in the Union Pacific's massive system (in the way of the former Southern Pacific's and Western Pacific's main lines). The Silver State is also home to the historic Nevada Northern Railway (a virtually untouched excursion operation from the 19th century!) and the fabled Virginia & Truckee Railway which has been entirely rebuilt, along with help from the State of Nevada. 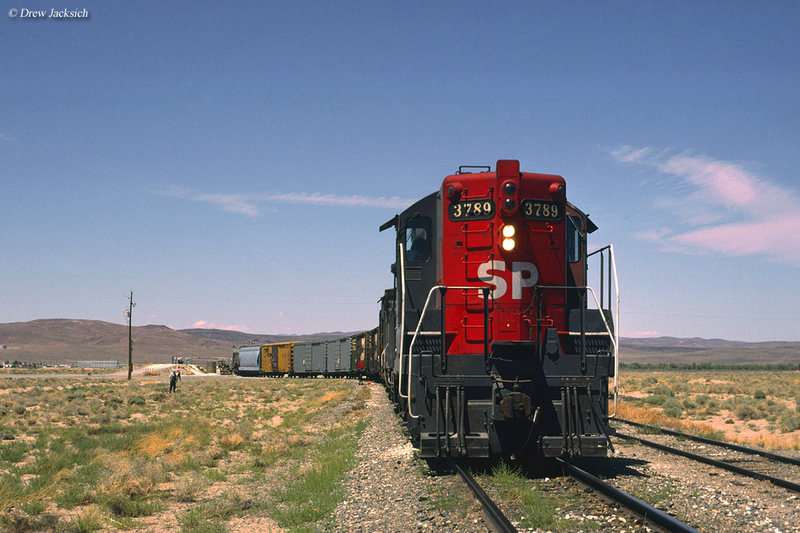 Historically, Nevada has never been home to either a large number of railroads or overall mileage. That holds true even today as Union Pacific serves nearly all of the state's rail interests with BNSF Railway being the only other system with a presence (via UP trackage rights). You may note that there are links listed throughout the article here. These will take you to other pages here at the site related to Nevada railroads and are included here simply for your interest. Nevada's rail history dates back to 1868 when the Central Pacific Railroad reached the state building east from Sacramento, California. The CP, of course, was a product of the Pacific Railroad Act of 1862, signed into law by President Abraham Lincoln, which sought to construct a Transcontinental Railroad. The CP would be the western railroad building east while the Union Pacific headed west from Omaha, Nebraska. As many know, of course, the two railroads met at Promontory Point, Utah completing the line on May 10, 1869. The CP would soon after become part of the Southern Pacific system. In the proceeding years the Silver State would be home to a number of celebrated western railroads. 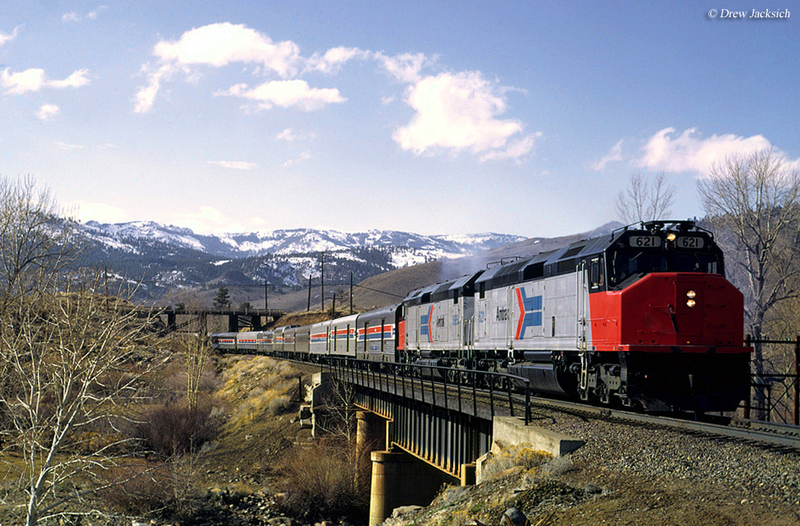 While Nevada is historically remembered by the operations of the UP and SP the much smaller Western Pacific also had a considerable presence through the state with its Salt Lake City-Sacramento/Bay Area main line traveling through the northern region of Nevada (it also had a branch extending to Reno). Today, Nevada railroads are almost exclusively the realm of Union Pacific (although BNSF does continue to have a presence in the way of trackage rights across the state). There is currently only two other freight railroads operating in the state, the Nevada Industrial Switch and the S&S Shortline Railroad. The former operates a former UP branch, beginning operations in the mid-1990s and serves the Pabco Gypsum Mine which produces standard sheets of drywall. The latter railroad is multifaceted operation providing car sales and leasing as well as providing train rides in Farmington, Utah (the S&S Railroad Shortline Park & Museum). However, it also owns a roughly 50-mile stretch of track between Shafter and Currie, Nevada where it has an interchange with Union Pacific. Currently, the company only uses the property for car storage. 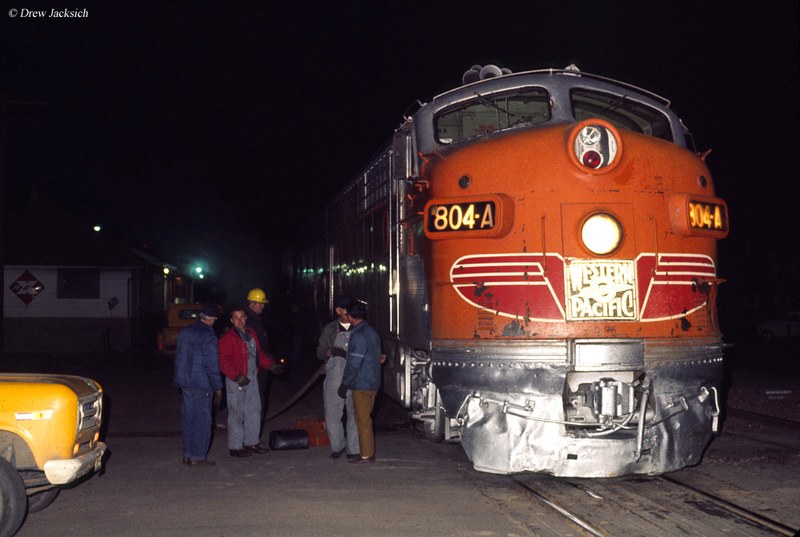 While passenger trains like the California Zephyr and City of San Francisco are no longer operated by their original creators, the CZ remains under the Amtrak banner with stops in Elko, Winnemucca, Sparks and Reno. Today, there are about 1,200 miles of rails currently active and in some state of use in Nevada. During the industry's heyday of the 1920s (when mileage peaked in the country) Nevada was home to nearly 2,200 miles of rails. Since that time the state has lost about 45% of its railroad infrastructure, which is on par with what most other states have experienced during that time. 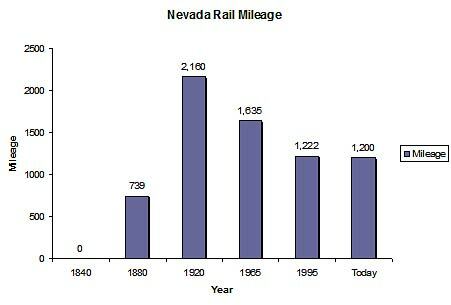 In any event, for a more in-depth look at Nevada, in terms of rail mileage over the years please have a look at the chart above. So, if trackside along the UP becomes boring stop by the V&T or Nevada Northern to see classic railroading at its finest! 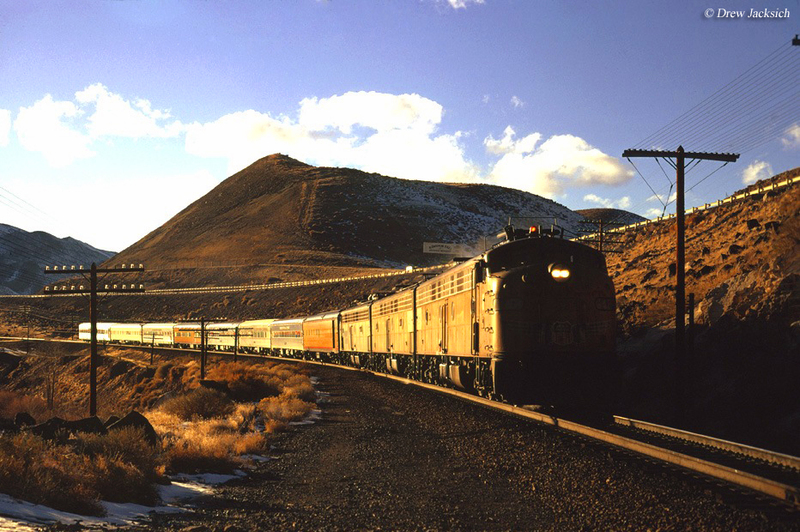 As for railroad museums and excursion trains, Nevada is home to just a few of these, although they are notable including the Nevada Northern Railway, Nevada Southern Railway, the fabled Virginia & Truckee, and the Nevada State Railroad Museum. All four are fascinating in their own right and receive a fair amount of visitors each year. To learn more about them and other areas of the state's railroad history please check out the links below. 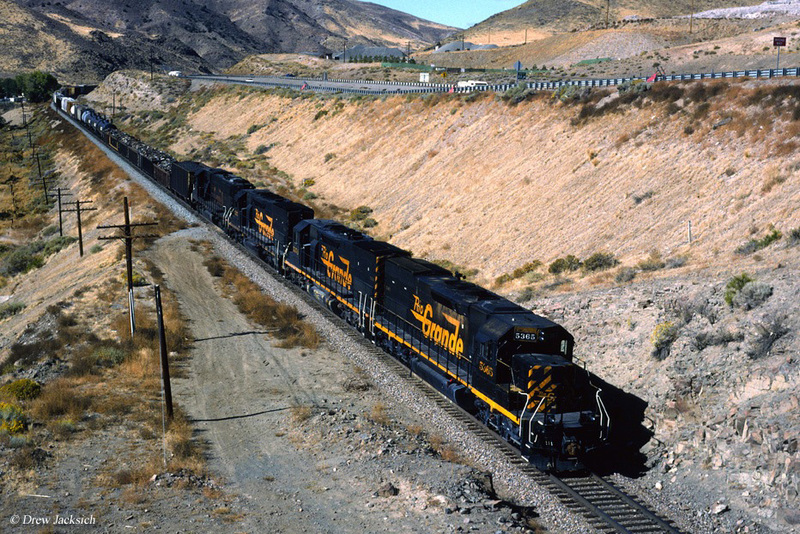 In all, Nevada railroads, while remote, are rich in history and still offer main line, Class I action.